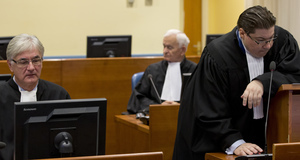 Follow us live for all the latest developments as the Hague Tribunal delivers its verdict in the trial of former Bosnian Serb military chief Ratko Mladic. Serbia’s Deputy Prime Minister Rasim Ljajic, a Bosniak, said that the Hague Tribunal’s verdict on Ratko Mladic came as “no surprise” and that the victims’ families will probably get partial satisfaction from the sentence. “Regardless of the fact that national tensions in the region will probably be heightened for the moment, reconciliation based on truth and justice is imperative for all the states and nations in the region,” Ljajic said. 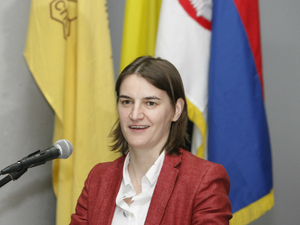 Tanya Domi, a professor at Columbia University and a Balkans specialist, said that she was “gratified” that the Court convicted Mladic of genocide in Srebrenica in 1995 and numerous counts of crimes against humanity and violations of the humanitarian laws of war, but disappointed that he was not also convicted of responsibility for genocide in 1992. 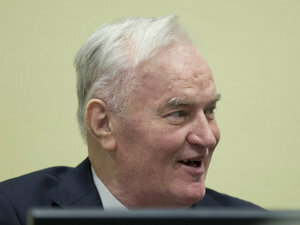 "Perfect justice would foresee Mladic spending the rest of his life in prison. 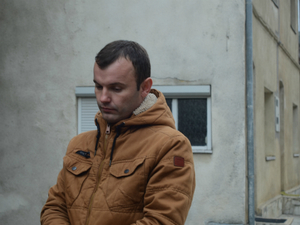 But the sentence of ‘life’ holds out the possibility of him being paroled,” Domi told BIRN. The US embassy in Sarajevo said the Mladic verdict was “an important step toward holding to account those individuals responsible for the tremendous suffering of the people of Bosnia and Herzegovina”. “We urge all parties to respect the court’s verdict, and rededicate themselves to the continued reconciliation and peaceful coexistence essential to the future of a stable, secure Bosnia and Herzegovina that safeguards the rights of all its citizens,” the embassy said in a statement. Ratko Mladic’s legal team has announced that it will appeal against the Hague Tribunal’s verdict which sentenced the Bosnian Serb wartime general to life in prison. 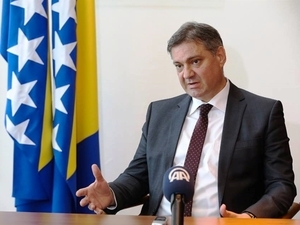 The Serb member of Bosnia’s tripartite presidency, Mladen Ivanic, said that Ratko Mladic’s verdict shows that the Hague Tribunal is biased against Serbs. Serbian human rights NGOs saluted the sentencing of Ratko Mladic and called on Serbia to face up to its past. 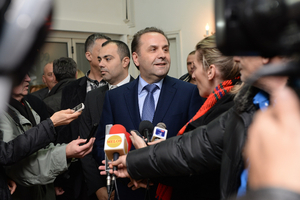 Milan Antonijevic, the director of the Lawyers’ Committee for Human Rights from Serbia, said that Serbia should examine how the wars of the 1990s happened. Pacifist NGO Women in Black asked Serbia and its current government - “whose officials shared the policies that inspired and assisted genocide”, it alleged - to stop denying the Srebrenica genocide. The Youth Initiative for Human Rights called on the Serbian parliament to adopt a declaration on the Srebrenica genocide and express “utmost respect for the victims of genocide”. Bosnia and Herzegovina’s top international official, High Representative Valentin Inzko, said that “truth and the feeling that justice has been met are the first steps towards reconciliation”. “There are no bad nations, only bad individuals. I hope that everyone will use this opportunity to once again declare for the reconciliation process,” Inzko told Bosnian media. 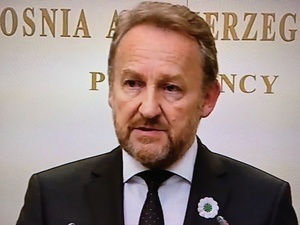 The current Serb mayor of Srebrenica, Mladen Grujicic, said that the verdict on Ratko Mladic confirms that the Hague Tribunal was set up to persecute Serbs. BIRN has been talking to local people in East Sarajevo, a part of the city that lies in Bosnia’s Serb-dominated Republika Srpska – and reactions to Mladic’s conviction there were strongly negative. "I feel sorry for him. He isn't guilty. England and America are,” one said. “They judged him the same as they judge all Serbs. He was convicted of being a Serb,” another insisted. “He was a soldier, he did his job,” said a third. The former mayor of Srebrenica, Camil Durakovic, a Bosniak, said he regrets that Ratko Mladic was not found guilty of genocide in six other Bosnian municipalities of Bosnia and Herzegovina, but said his sentence represented partial satisfaction for war victims. Serbian Prime Minister Ana Brnabic echoed President Aleksandar Vucic’s comments about Mladic’s verdict, saying it was not a surprise and that Serbia should look to the future. Milorad Dodik, the president of Republika Srpska – Bosnia’s Serb-dominated entity - said that the verdict was an insult and that Ratko Mladic will continue to be perceived by the Serb people as someone who saved them from genocide. Croatian President Kolinda Grabar-Kitarovic said that she regrets Ratko Mladic did not answer for crimes committed in the Croatian village of Skabrnja and elsewhere in the country, where Mladic served as an officer with the Yugoslav People’s Army. “But I hope that the sentence of life in prison will at least be a partial satisfaction to the families whose members were killed, tortured, or have disappeared at the time he was one of the symbols of war, brutality and genocide,“ Grabar-Kitarovic told Croatian daily newspaper Jutarnji list. Serbia’s opposition Democratic Party said Ratko Mladic’s verdict was long-awaited and “takes the shame away from Serbia”, as well as fulfilling a necessary requirement for reconciliation. “New challenges are ahead of us and time has come to close some books. There will undeniably be many painful words and events in those books, but we have an obligation to the generations growing up today,” the Democratic Party said in a press release. 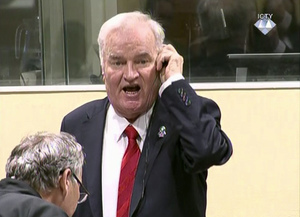 Bosnian Prime Minister Denis Zvizdic said Mladic’s verdict was a judgment on “an individual, not his people”. 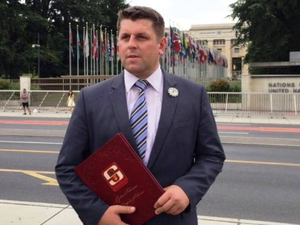 “It should be understood in such a way and that this verdict against a person be a message for future generations to move towards peace, cooperation in the region, a common European future and economic prosperity,” Zvizdic added. Serbia's Youth Initiative for Human Rights unfurled a banner reading "Not Our Heroes" after Mladic's verdict was passed earlier today. They tweeted out a picture of their members holding the banner with the accompanying message: "We send a clear and unequivocal message on the day that the first-instance verdict of Ratko Mladic is passed." The International Criminal Tribunal for the Former Yugoslavia has published its trial judgment summary for today's Ratko Mladic verdict. He was found guilty on 10 counts in his indictment and not guilty on one count. Aleksandra Letic from the Helsinski Committee for Human Rights in Republika Srpska told BIRN that the question raised by the Mladic verdict is whether it will be used to open up a genuine dialogue about war crimes. “The question now is what will happen in the entity in which most crimes were committed by Mladic's forces - Republika Srpska. The question is whether we will start some discussions. It is probably naive to think that we will, since all the other verdicts from international and domestic courts changed nothing,” said Letic. “No one should call Mladic a hero, raise statues for him, welcome him at airports, name facilities after him... I hope this verdict can act as a wake-up call,” he added. The US ambassador to Belgrade, Kyle Scott, said after the verdict that he now hoped for some “tranquillity” as well as justice. “All of the victims deserve justice. It’s time to commit to reconciliation and turn to the future,” Scott wrote on Twitter. A few dozen protesters gathered on Wednesday evening in central Belgrade at a quickly-organised rally in support of Ratko Mladic, staged by the right-wing Dveri political party. 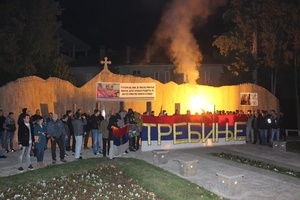 The leader of Dveri, Bosko Obradovic, told media that Mladic protected the Serbs in Bosnia from the "third consecutive genocide they faced in the20th century". "General Mladic, Radovan Karadzic, and all the other founders of Republika Srpska... should be on the covers of history books and be celebrated among the Serb people," Obradovic said. 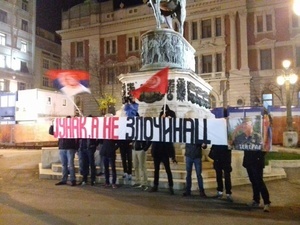 A group of protesters carried Mladic's picture and a banner that read "Hero not criminal", while waving flags with the insignia of extreme right group Srbska akcija (Serbian Action). A small group of protesters gathered in the southern Bosnian town of Trebinje expressing their dissatisfaction with Ratko Mladic's verdict. They chanted Mladic's name and sang songs to honour the former Bosnian Serb military chief, who they described as a hero. "Unfortunately, there are few of us here. The former fighters’ union did nothing to organise this. I am happy young people came because they are the future. They stand here with their heads high, because they have nothing to be ashamed of. We fought valiantly for Republika Srpska," said Nebojsa Milisic a former Bosnian Serb army serviceman. The reactions from Bosniaks and Serbs following Ratko Mladic's conviction for genocide and crimes against humanity highlights how 22 years after the Bosnian war ethnic divisions remain. Bosniaks who survived the 1992-95 Bosnian war have applauded Mladic's life sentence, but Bosnian Serbs claim that the Hague Tribunal has shown anti-Serb bias. Read more about the starkly opposing reactions. That concludes our live coverage of events as they developed on the day that former Bosnian Serb military chief Ratko Mladic was convicted of genocide, war crimes and crimes against humanity, and sentenced to life imprisonment. Thank you for joining us, and expect more coverage of the reactions to and repercussions from this landmark verdict on this site on Thursday morning.